Are Catholic schools supporting their LGBT students? Are students nurtured and encouraged to know who they are and how best to make use of their talents? People involved with Catholic education generally agree the Church needs a thoughtful approach to talking about Catholic teachings on sexuality and gender within a society that increasingly accepts diverse sexual and gender identities. 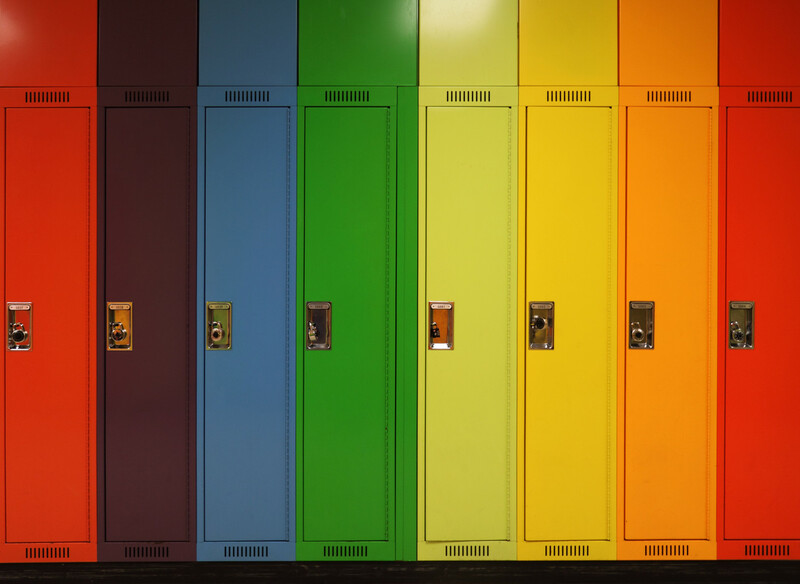 But unlike public or other private schools, little exists in terms of organization and department to ensure LGBT students’ needs are being met at parochial schools. Below are resources to assist people involved with Catholic education to navigate the tension between Church teachings on sexuality and gender and Church teachings on human dignity and to create a safe and welcoming space for LGBT students. Read through newsworthy stories of Catholic LGBT students and their experiences at prom by going to the link. Be a good listener. Give your students the space to share their thoughts and feelings. Educate yourself. Make an effort to use terminology that is currently embraced by the LGBT community. Be aware of your own biases, background, and underlying beliefs towards sexuality, especially homosexuality, and gender, especially transgender identities. Teach inclusively by incorporating positive representations of LGBT people in your curriculum and displaying visible signs of support in your class like a “safe-space” poster. Reassure students who “come out” and respond to anti-LGBT behavior. Educate other teachers and administrators. Contact your bishop about LGBT student acceptance in Catholic schools and seek a meeting with him to discuss more inclusive diocesan policies. You can find bishop’ contact information here. Create a Gay-Straight Alliance (GSA) in your school. Student-led GSA clubs are leading the work to create safe and LGBTQ- inclusive schools. Find out how to start a GSA and get free resources to support your GSA’s work. Participate in GLSEN’s Day of Silence on April 12th 2019 – a national event where students and allies take a vow of silence to highlight the silencing and erasure of LGBTQ people at school. Pray for LGBT students that their gifts are valued and their pains are heard. Contact New Ways Ministry for consultation as well as programs on LGBT issues in Catholic schools. You can contact us here. Keep up to date with the latest news about LGBT student issues in Catholic schools by subscribing to our blog, Bondings 2.0. Always Our Children: A Pastoral Message to Parents of Homosexual Children and Suggestions for Pastoral Ministers is a statement (dated September 1997) of the National Conference of Catholic Bishops (NCCB) Committee on Marriage and Family. The purpose of this pastoral message is to reach out to parents trying to cope with the discovery of homosexuality in their adolescent or adult child. A similar set of guidelines, entitled “Live Life to the Full,” for a group of Catholic schools in Australia was also issued in 2017 by the Edmund Rice Education Australia (EREA). The set of documents is intended to support Catholic schools as they strive for the wellbeing and safety of their students, particularly in regard to combatting homophobia and transphobia. Addressing LGBT Issues With Youth: A Resource for Educators is an 11-page PDF booklet by the Marianist Social Justice Collaborative. It provides strategies for assuring that our Catholic institutions and ministries promote understanding, respect and acceptance for all young people, regardless of their sexual orientation. LOVE SIMON, Movie – Lesson Plan and Discussion Guide The 2018 movie brings to light the idea of “invisible identities” and can foster discussion about ways to support LGBTQ young people at school. Creating Safe Environments for LGBT Students: A Catholic Schools Perspective by Michael J. Bayly (2012) is a comprehensive training guidebook for educators who are committed to diversity and the full inclusion of LGBT students in every aspect of the Catholic high school experience. Based on five years of pilot testing in Catholic schools, this unique book emphasizes safe-staff training in integrating the Church’s pastoral, social, and moral dimensions with the special needs of LGBT students. Being Gay and Lesbian in a Catholic High School: Beyond the Uniform by Michael Maher ((2001) offers compelling evidence to Catholic educators, clergy, and laypeople that their superb academic institutions are not fulfilling the clear mandate of the Church on inclusive loving behavior toward sexual minorities. Yet the facts presented in Being Gay and Lesbian in a Catholic High School prove that too often they encourage or allow stereotyping, homophobia, and anti-gay violence.